Rachel graduated from USF’s School of Education with a Master of Arts in Organization & Leadership (emphasis in Higher Education & Student Affairs) in 2013, after receiving her Bachelors degree in English from Notre Dame de Namur University in 2011. She is originally from Angels Camp, CA, a small town in the foothills of the Sierra Nevada mountains. 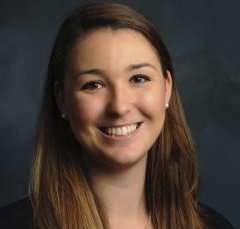 Rachel is passionate about enriching student success and impacting student persistence through collaborative learning and peer leadership; she is grateful to work in the Learning & Writing Center, which cultivates individualized learning environments for USF students. Outside of work, Rachel enjoys reading, writing, knitting, hiking, playing the piano, watching basketball, and traveling with family and friends. process and new knowledge is understood through our imaginations and our experiences. awkward, misshapen, and bizarre, and his classmates voted him Class Artist and Class Wit. supposedly no talent for a job, either. with Dr. Seuss and Hermeneutics is the power of imagination. imaginative abilities: right as he was leaving for college. Do you rely on past knowledge and/or experiences as you work to create new understanding? Do you allow yourself space to learn from “mistakes” or situations that did not go as planned? What resources can you use to enable you to make meaning of new knowledge? -Kearney, Richard. Poetics of Imagining: Modern to Post-Modern. Fordham University Press, New York, 1998. -Fensch, Thomas. The Man Who Was Dr. Seuss. New Century Books, Texas, 2000.